Elmo and the "Sesame Street" gang are getting a makeover. 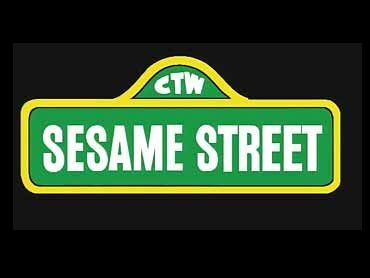 With the opening of its 33rd season on Monday, television's best-known children's show will unveil its most dramatic overhaul ever, one designed with competition and a changing audience in mind. Rest assured, Elmo is keeping his red fur. And his goldfish. The street won't be different, but the way it's presented to young viewers will be. "Sesame Street" was created in the late 1960s, aimed at an audience of 3- to 5-year-olds. One purpose was to educate poor children who didn't go to preschool. Now the show's primary audience is 2-year-olds, many of them already savvy television viewers also familiar with the structure of day care or preschool, said Rosemarie Truglio, chief researcher at the PBS show's production company, Sesame Workshop. Executive producer Michael Loman said that when they found their audience was getting younger, "we wanted to meet their needs, but at the same time we didn't want to lower the intelligence or the challenge involved in the show." So he tinkered with the format. For years, "Sesame Street" had a single "street story" that would be revisited periodically throughout the hour. Parents told researchers that their children's attention would wander, so now the story will be told in one 10-minute block. Three years ago producers broke out Elmo's character into a separate "Elmo's World" segment and it became a big hit. Now Ernie will get the same treatment. "Journey to Ernie" will be a daily segment where viewers will play along with Big Bird, "searching" for Ernie in a computer-generated world. There also will be separate "Monster Clubhouse" features and regular points in the show where a letter and number of the day are introduced. "Sesame Street," which was loosely modeled after the old variety show "Rowan and Martin's Laugh-In," is essentially becoming a series of individual stories. "What we know about children is they like predictability," Truglio said. "So we're keeping the order the same." On Monday's show, "Sesame Street" for the first time will address fallout from the Sept. 11 terrorist attacks. The events won't be discussed directly; "Sesame Street" will talk about the fears and emotions children have been expressing. In the story, Elmo is scared when there's a fire at Hooper's Store, so firefighters invite him to take a tour of their firehouse. He feels much safer afterward. Subsequent episodes over the next few months will deal with the topics of loss, bullying and inclusion of different groups, Loman said. The people at "Sesame Street" are far too proud to admit they're taking cues from other successful programs, but some of the new things being tried have obvious antecedents. "Journey to Ernie" and other efforts to stress interactivity and problem-solving are similar, for example, to Nickelodeon's "Blue's Clues." And while "Sesame Street" has a long history of ethnic inclusiveness, one new element wilbe an effort to introduce viewers to a Spanish word of the day. Nick's popular "Dora the Explorer" has been mixing Spanish and English words over the past year. Loman said research - not watching other shows - dictated the changes. Experts found that children as young as 2 are more open to learning other languages than was once thought. Eventually, "Sesame Street" may introduce languages other than Spanish. One expert on children's television said she's eager to see the changes, noting successful evolutions through the years. "I've never seen `Sesame Street' get worse through changes," said Peggy Charren, founder of the advocacy group Action for Children's Television. Loman, a former comedy writer who has been at the show's helm for nine years, admitted to trepidation at changing a show that has become an institution. No one wants to be known as the person who messed things up. But if Sesame Workshop doesn't keep in tune with society, the show risks becoming a relic, he said. "You don't want it to be, ` "Sesame Street" - that was a great show,' " he said. "You want it to be that it is."